They are tied by the threads of shared history and culture. They are bound together economically, administratively and demographically. Geographically close, they are linked by a chain of bridges over the Danube. 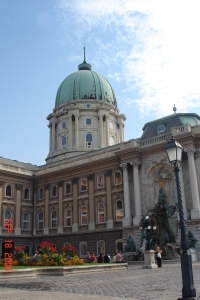 Their architecture has common touches of the Magyars, the Turks, the Renaissance, the Dual Monarchy’s lavish quest to create a new Vienna and the Communists’ iron fist. 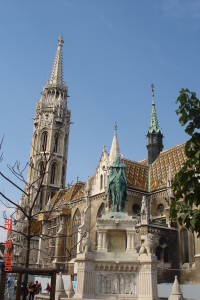 Yet, for all that, the three little towns of Buda, Obuda and Pest, which in 1873 became Budapest, are quite unique. Each has its own remarkable stories and its own distinctive style. Buda holds the high ground, on the west bank of the Danube. A strip of motorway and a narrow promenade run along the river. Behind them the hills rise steeply. 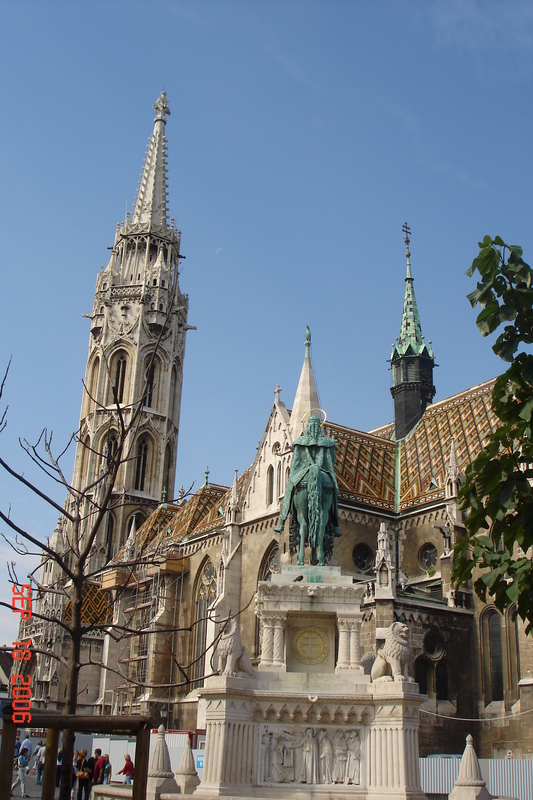 Buda’s most prominent and most famous monument is Buda Castle, which sits on Várheg or Castle Hill. After the Mongols had razed Pest in 1241, Béla IV, fearing another attack, chose this seemingly impenetrable site for his new royal castle. The cliff face in front of it is alarmingly steep. At the foot of the hill traffic whirls around Adam Clark Ter past the 0 kilometre stone and through a tunnel to the other side. For pedestrians unable to face the perpendicular stairs to the top, there is the Budaváry Siklo, the quaint, creaking, art deco funicular railway. In spite of the supposedly unassailable hill, however, the castle was destroyed time and again; first by the Turks in the 16th century, then during the 1848-49 revolution and finally during World War II. Rebuilt and renovated as often as it was knocked down and ruined, the now enormous Buda Castle is a blend of architecture and ornament which reflect its long history and varied life.